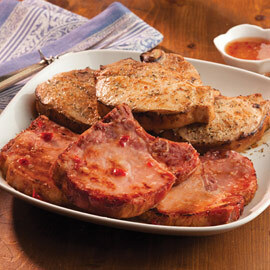 Iowa Pork Chops are famous for their unsurpassed texture and flavor, and Amana Pork Chops are among the very best our state produces. 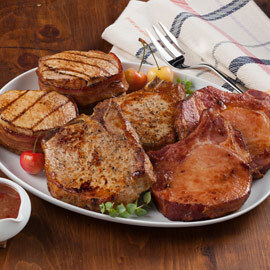 Whether you order our thick-cut Iowa Chops, lean center-cut loin chops, German smoked pork chops, stuffed or bacon-wrapped chops, we know you will fall in love with the tenderness, quality and flavor of our pork from America's Heartland by choosing from one of the best pork chops Iowa has to offer. 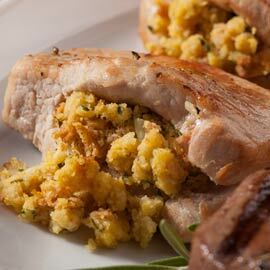 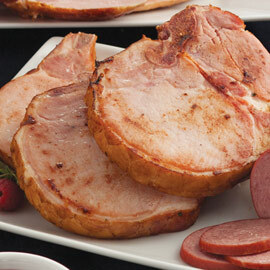 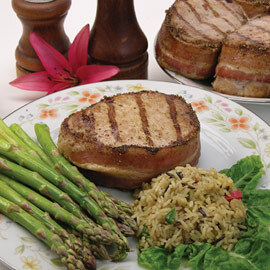 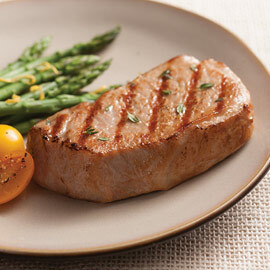 For tips on preparing your Amana Pork Chops, see our serving and cooking instructions.